Up-To-Date Visual Introduction to Analyzing DNA. 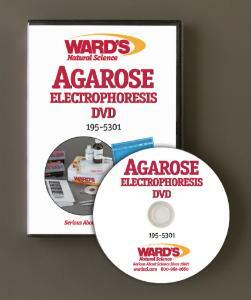 Conducting agarose electrophoresis for DNA analysis doesn’t have to be an intimidating process. With our exclusive program, you can see how easy it is to incorporate electrophoresis into your curriculum. The concise yet comprehensive video introduces the concept of electrophoresis and provides step-by-step instructions on using the equipment, casting and loading a gel, running and staining a gel, and analyzing results. It also provides safety guidelines. Duration: 10 minutes.